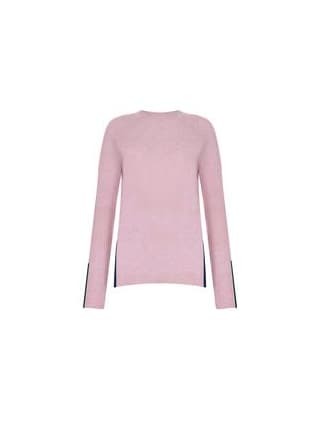 Dusky pink waffle knit cashmere longer length sweater from Duffy NY. Side split detail in teal blue. Vertical stripe at back of neck detail in teal blue melange. Stripe cuff detail in teal blue melange.